The England Squash app has a number of resources and downloads available for you to access and use. You can watch and download videos through the app. 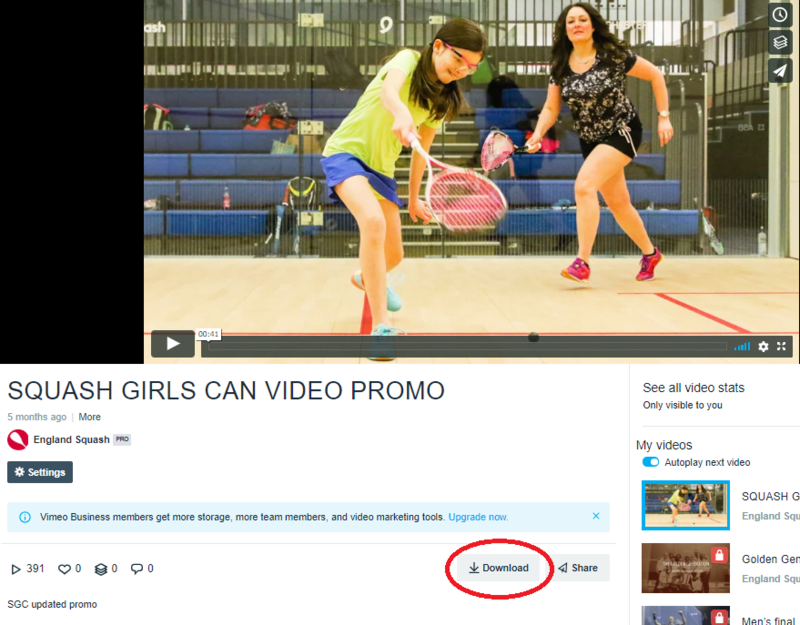 Where a video is available to download you will see a paper plane icon in the top right corner of the video as shown below. Videos' without this icon are not available to download, but can be watched through the app. You'll then see a number of options as shown below. Select one of the social media icons to share the link to the video on your social media account. 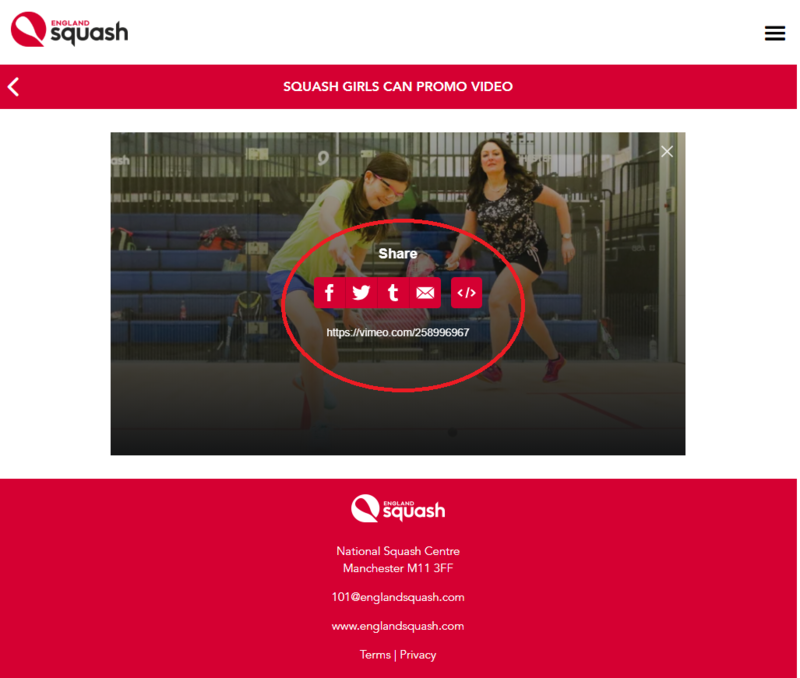 Select the website link to open the video on the Vimeo website where you can download the video, save it and share it on social media, on your website, or display it on TV screens in your club or venue. Once you select the link, a new page will open as shown below. Click 'download' to start to download the video, and save it on your computer. Please note, you might not be able to download the video whilst on your phone. It's best to download it on your computer. Downloading the video enables you to share it much more effectively.